Pantone named Emerald the colour of the year, and since St. Patty's Day is quickly approaching, I decided to experiment with some emerald shades! 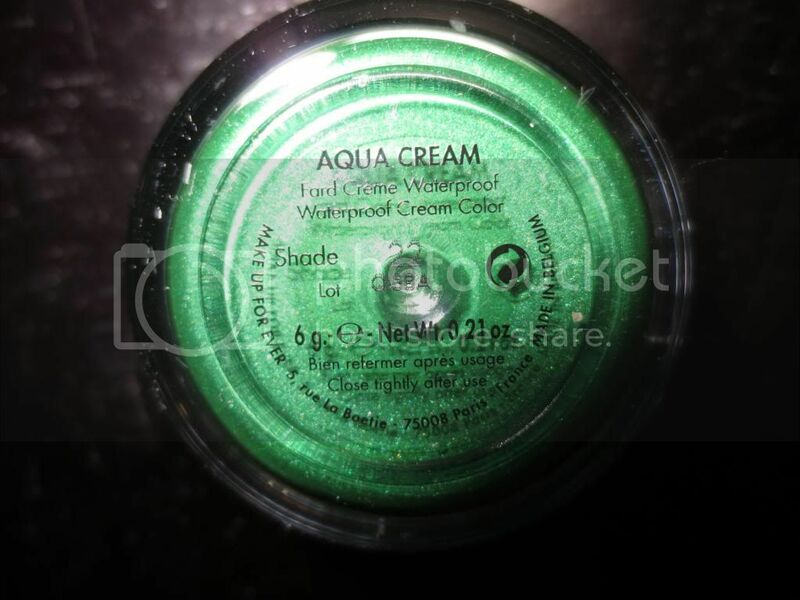 MAKE UP FOR EVER's Aqua Cream in shade #22* is a beautiful light emerald colour. "Aqua Cream combines the highest-quality pigments with mother of pearl particles to give immediate rich color payoff with a luminous finish in just one application. It's long-lasting formulation will not crease or smudge under the most extreme conditions and its creamy and elastic texture allows for easy blending." The Aqua Cream formula is very long-wearing, smudge resistant, and pigmented. I find that this create almost a tacky base, perfect for layering powder shadows over. I find these quite different from Maybelline's Color Tattoos. MUFE's Aqua Creams are much thicker in consistency. Both have great lasting power, and MUFE has a larger colour range. I used #22 all over my lids, and then layered Urban Decay's Jealous and Beware from the new Theodora Palette and MUFE's Powder Shadow #80*. 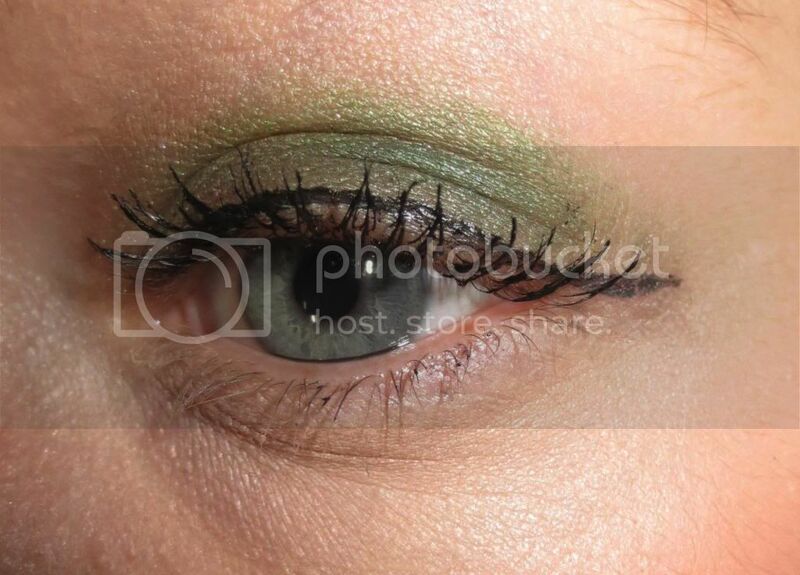 I love mixing different shades of green and brown together for an eye look. I think adding the brown neutral shade makes this look more wearable. I lined my eyes using MAKE UP FOR EVER'S Aqua Liner in #13 Matte Black, and used Maybelline's The Rocket mascara to finish off the look. Wow this shade is gorgeous! !